Visitors to Edisto Beach are taking advantage of its proximity to nearby Kiawah Island where the 2012 PGA Championship is taking place. The Championship Rounds will be from 6:45 a.m. to 8 p.m. Thursday and Friday and from 7:30 a.m. to 8 p.m. Saturday and Sunday. Tickets can be purchased at cost from Kapp-Lyons realty located at 440 Highway 174 on Edisto Island. 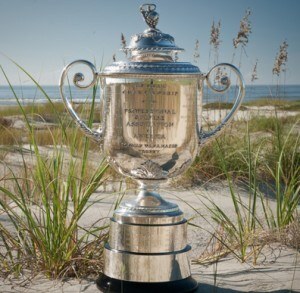 The Plantation Course on Edisto Beach located in the Wyndham Resort also has tickets for sale. Getting to the PGA Championship from Edisto can be done either by car or by boat. If you plan to drive to Kiawah, expect a good hour to an hour and a half drive. Traffic could extend the duration of the trip. The best way to get to Kiawah is to take a water taxi over to BoHicket Marina on nearby Seabrook Island and then take a shuttle to the game. The water taxi is just a 20 minute boat ride from Edisto Island on over to Seabrook. Call 697-5180 to book a ride. Call 869-1111 to contact the Plantation Course and get tickets for the tournament. Visit www.pga2012.com for more information about the event.